Long drives can tax anyone's patience. So before you hit the road for a vacation this year, stock up on entertainment options for your fellow passengers. 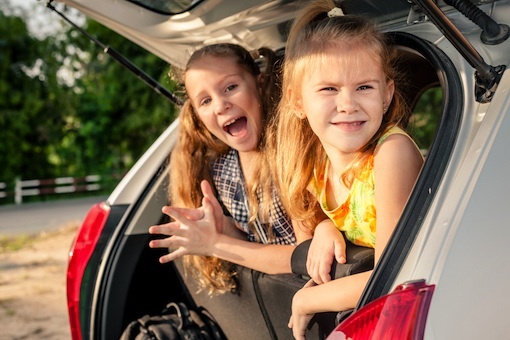 Your family's favorite shows, movies and music can go a long way toward staving off boredom and bickering, making in-car entertainment options a must-have for any long road trip. Here are our favorite car entertainment accessories to get help you get set up. 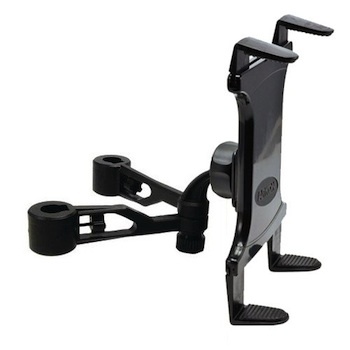 Our favorite is the Arkon Universal Tablet Headrest Mount, which is easily adjustable to fit different cars and different tablets. The mount will fit tablets between 7 inches and 10 inches, including the iPad, iPad Air, iPad mini, Kindle Fire HDX, Samsung Galaxy Tab and many others. If you don't take frequent road trips, the price is definitely right for this mount, which will only set you back about $35. The downside to using your tablet in the car is that it's still a tablet; the touchscreen interface can be awkward to reach on the road, especially for smaller kids. 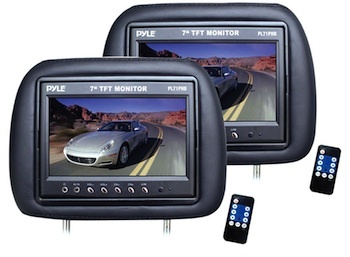 If you want a more TV-like experience (or just more entertainment options), we recommend swapping out your car's headrests for ones with built-in monitors, like these Pyle Headrests with Built-In LCD Monitors. There's no easy or cheap way to stream Netflix on long road trips; even with access to 4G LTE networks, you're likely to get choppy video. For movies and tv shows, you'll need to pack your own videos. 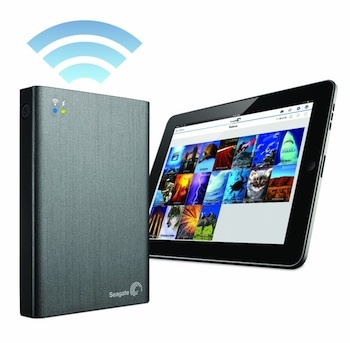 Our favorite option for digital video is the Seagate Wireless Plus system, a portable hard drive with 500GB to 2TB of storage that can be used to stream music, movies and TV shows to tablets, smartphones and laptops. The drive is capable of streaming to three different devices at a time via built-in WiFi with a battery that lasts up to 10 hours, making it an ideal companion for long road trips. Prices start at $149 for the 500GB version and go up to $199 for the 2TB version, an excellent investment for regular road-trippers. Let two people listen to music, movies or television on one tablet with a simple headphone jack splitter like the iLuv Splitter Adapter for $9. This adapter plugs into any standard 3.5mm audio jack and lets you connect and independently control the volume for two sets of headphones. The kids can watch their favorite cartoons, and you can drive on in blissful peace and quiet. Or if your child has a friend along and they want to be able to chat with other friends, there's the giik PartyTalk headset splitter with dual mic and volume controls ($25). For headphones for the kids, the Kidz Gear Volume Limit Headphones are a great choice, offering volume control that prevents the sound from getting too loud for young ears. They're comfortable for long wear and come in a range of bright colors that are sure to please — and at $22, they won't break the bank. And if you have a built-in system that supports wireless IR headphones, like the Pyle headrests, the Kidz Gear Wireless Car Headphones for Kids are a great option at $20. 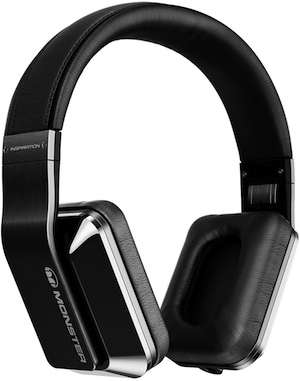 Adults might want higher-end sound and noise cancellation capable of blocking out even the worst road trip annoyances. Our favorite is the Monster Inspiration Active Noise Canceling Over-Ear Headphones, which use active noise blocking to make your trip as peaceful as possible. They're an investment at $245, but serious audiophiles (especially those who travel a lot) will definitely appreciate them. If you don't like the over-ear style of the Monster headphones or don't like their high price tag, we're also fans of the Audio Technica QuietPoint Active Noise-Cancelling In-Ear Headphones, which offer solid noise cancellation for only $39. WiFi can be hard to come by when you're on the road. Although most of us can turn our smartphones into wireless hotspots, that can gobble up your data plan in no time. 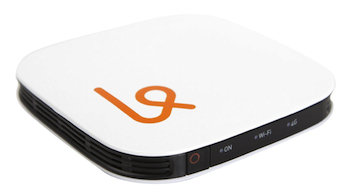 Instead, try the $99 Karma Wi-Fi Hotspot. There's no contract or monthly fees with the Karma; you pay for data as you need it, at $14 per GB. We wouldn't recommend using it to stream Netflix, but it's a great way to check email or keep up with your social networks on the go. Just make sure your travel area is within Karma's coverage area before you buy. Even the best gadgets will run out of battery life with heavy use, so be prepared to keep your collection of high-tech entertainment gadgets charged up. There's no better or easier answer than a cigarette lighter USB charger. 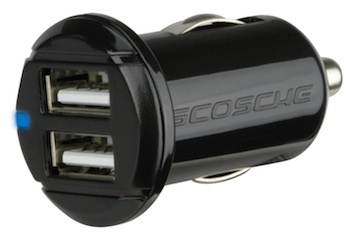 The Scosche USBC202M Dual USB Car Charger ($20) plugs into your car's cigarette lighter and charges two devices—tablets and smartphones—each at 2.1A at the same time. With all of these tech-cessories, you can look forward to a fun and happy time on the road for everyone. Also, don't forget to check out our Emergency Tech Products for Your Car Safety Kit for peace of mind on the road. My wife and I are planning a vacation soon, so this guide was really useful. I like that you mention how it can be hard to use wireless internet on the road, so getting a portable hard drive is the easiest way to get entertainment. We might have to look into getting one of these so we can download movies for the kids. Thanks for sharing!